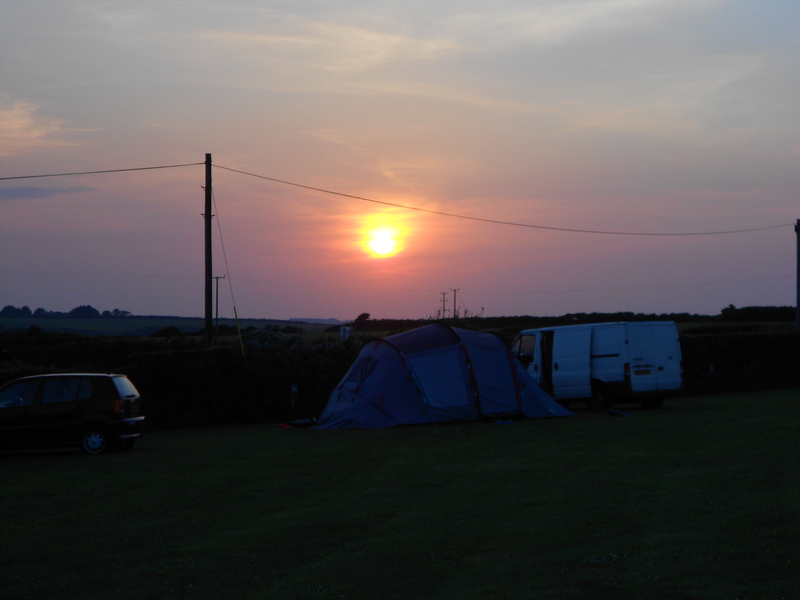 I have just spent a rather blissful week on a campsite in St Buryan, located on the B3315 from Mousehole to Treen. 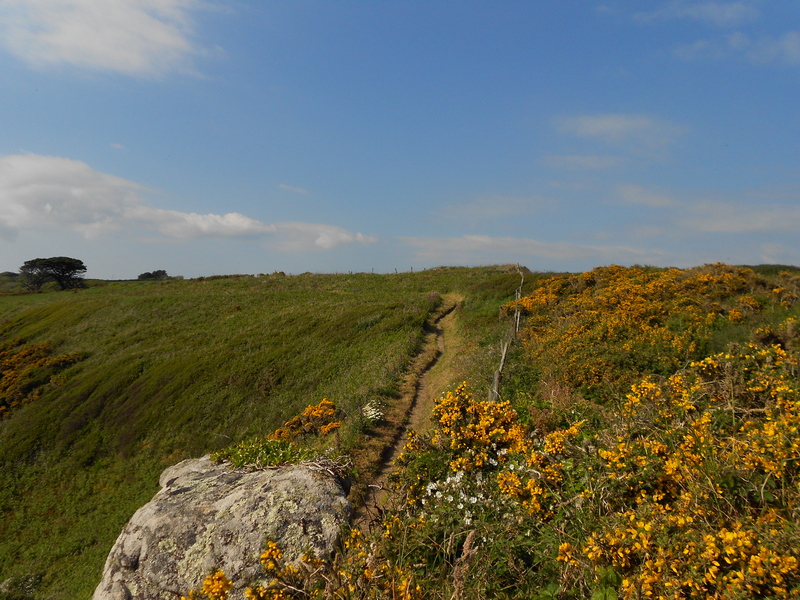 Just a ten minute walk to the sea and with coastal views, it was lovely to be able to spend some time on a different Cornish cliff. the weather was pretty awesome, although one morning was cloudy and rather chilly but never the less a good morning for a cliff top walk. 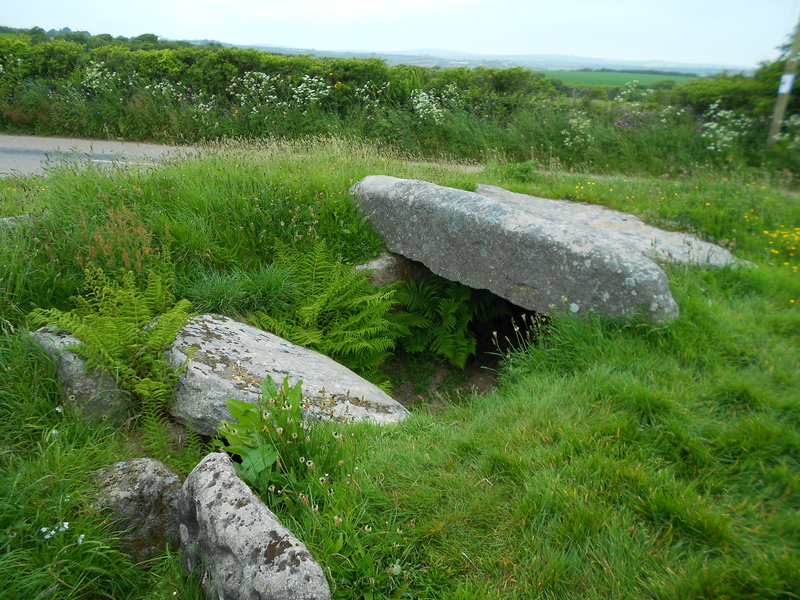 Starting out at the campsite we walked along the B3315 towards Lamorna to see the Merry Maidens, which is a complete ancient stone circle. 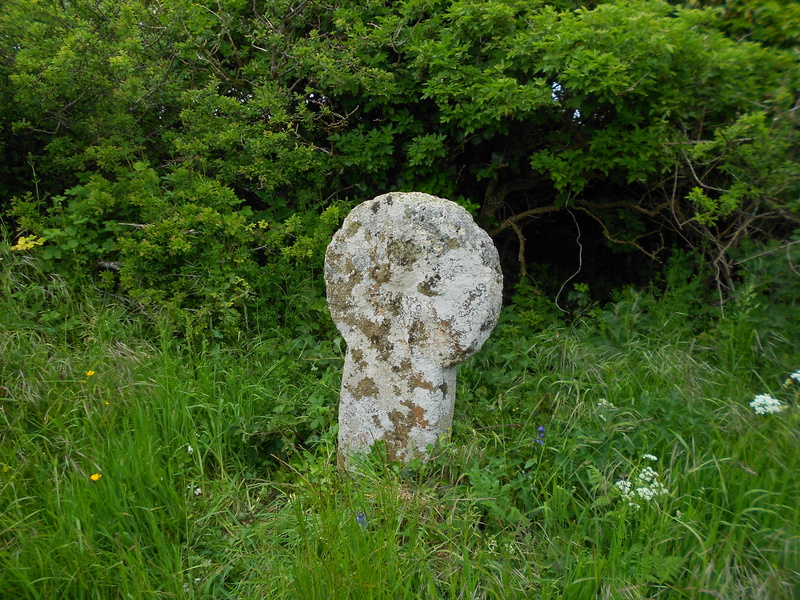 We passed at least three ancient stone crosses, although not cut like crosses there were the remains of crosses within the circles. On leaving we met a woman who told us about two other, much larger, stones called the Pipers. 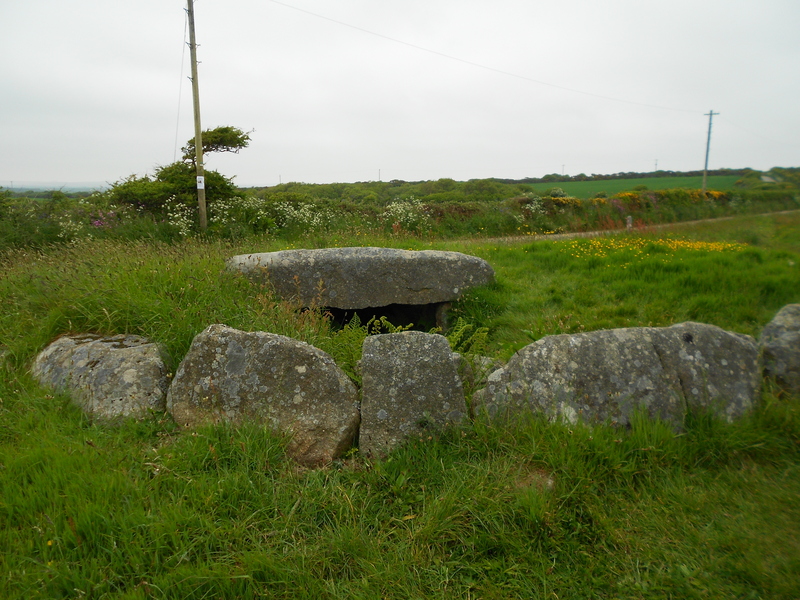 The local legend goes that the two pipers led the merry maidens astray and got them to dance on the Sabbath and for dancing on the Sabbath they were turned to stone. 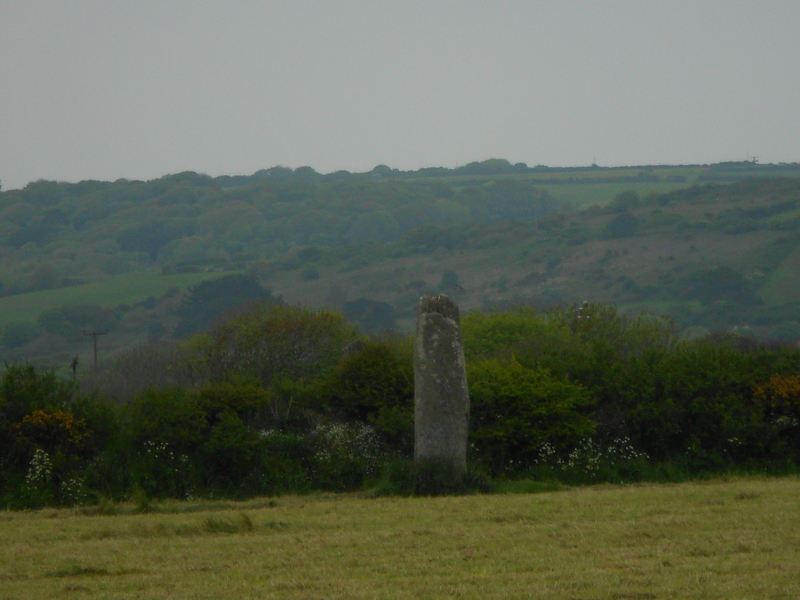 After checking out the Pipers, who are the petrified remains of the musicians who played for the maidens and the largest standing stones in the county, we decided to head for the coast and hook up with the South West Coastal path. The map had shown us two options and we went with the one closest to us – well why wouldn’t you? 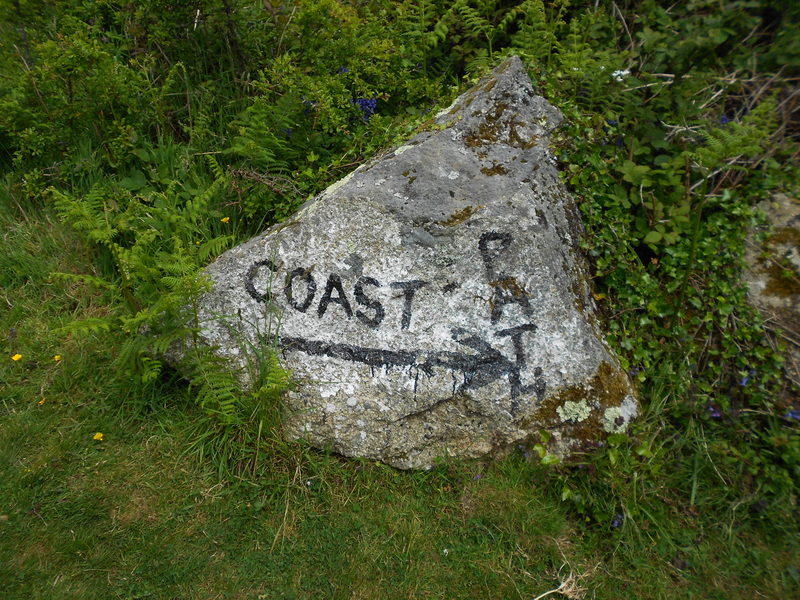 It would have been helpful had the ‘public footpath’ sign had the addition ‘no access to the SW coastal path’ as the map implied we could get onto it. Instead we had to find this out having walked down a rather long and winding footpath to a large gated sign telling us it was private property. We managed to meet a young girl who told us to walk across a couple of fields going west where we would locate the path. Cows, boggy underfoot, and slightly apprehensive that we were on private land, we traipsed through the fields, taking care to stick to the sides and we eventually came to a road. The road led to another gate with a sign on the other side to us, saying ‘private’; so as we had just been walking on private land we quickly legged it over the gate and got onto the pathway. 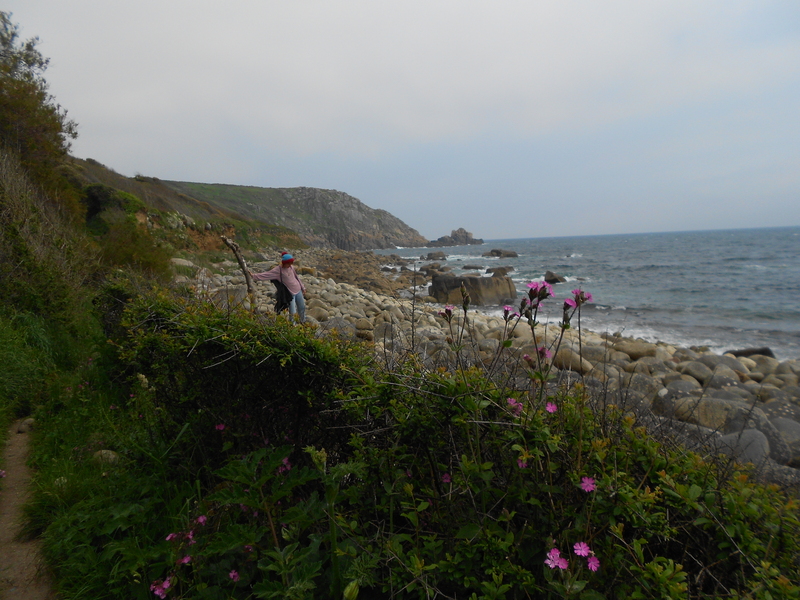 From Lamorna to Treen has to be some of the most diverse landscapes, within a few miles of each other, on the SW route. We went from waist high wild flowers to woods and dells, to boulders and craggy cliffs to beaches with giant rocks. 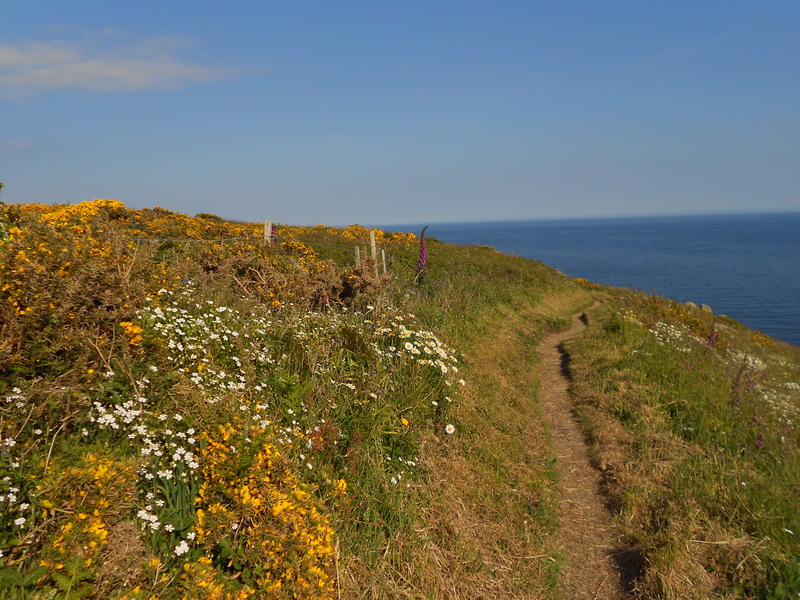 The warmth of the sun over the last few days had turned the cliffs into a riot of colour. As it had been quite chilly when we left, Holly, who was one of our number, was wearing a stripy bobble hat and so we created some ‘Where’s Wally (Holly)’ installations on route. 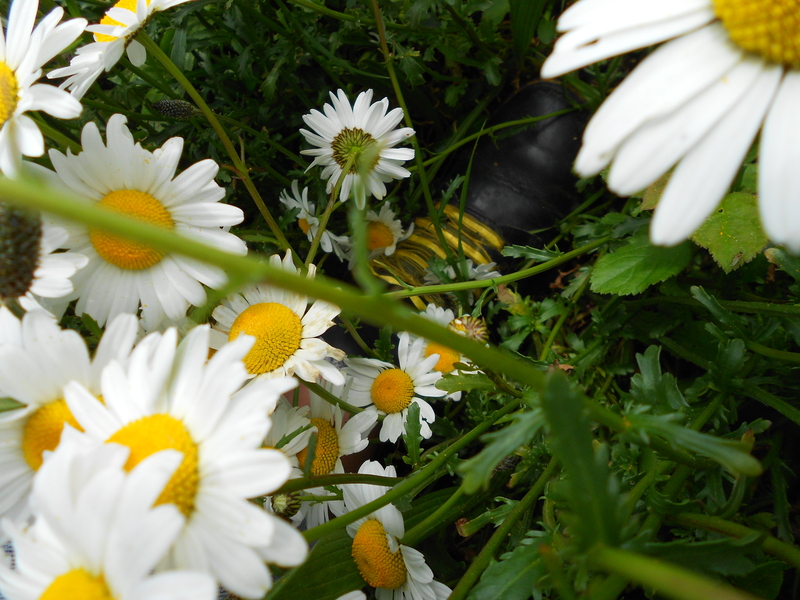 Above is her black boot amongst the daisies, the yellow laces working well with the yellow of the flower. 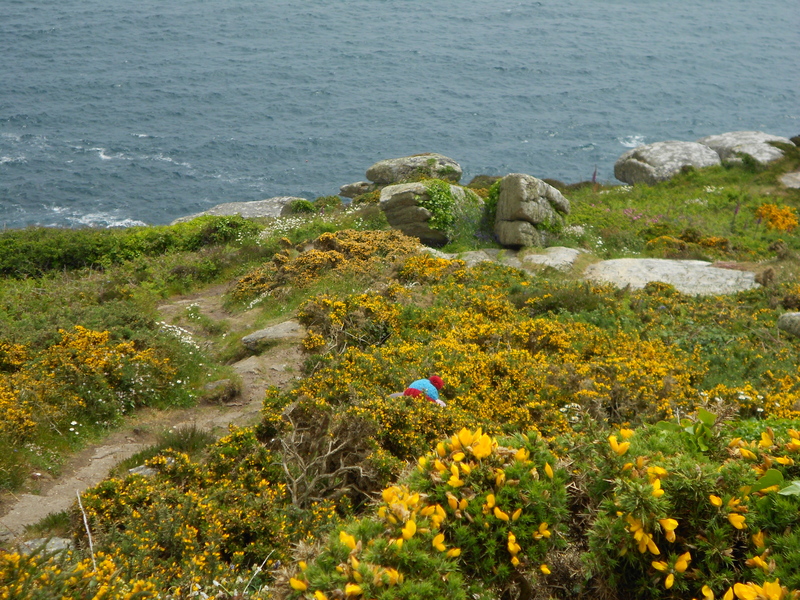 the bobble hat coming into its own amongst the gorse bushes. Holly’s stripy top was just the right shade with the Red Campion that I failed to notice when taking the picture the long wild Allium standing to attention in front of the tree trunk. None of us were wearing watches so had no idea of the time, we were quite amazed when we eventually returned to the campsite to find that it was way past lunch and we’d been out for over four hours. 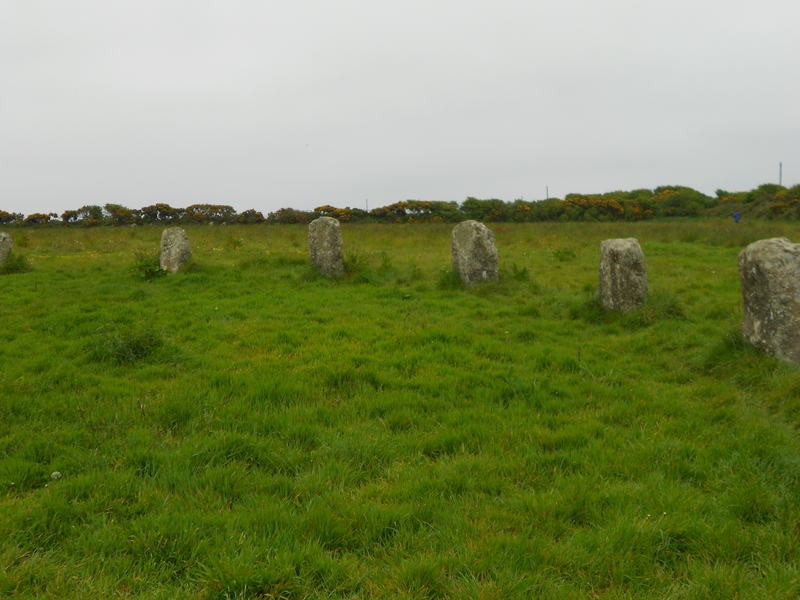 A short 20 minute walk to the stone circle had quite literally turned into a circular walk with the circular old signs along the way. We all agreed that we’d had a great adventure. When someone mentioned that the large boulders of cliff looked like something out of The Hobbit we agreed that it had felt like a quest walk for us. We certainly slept well that night. 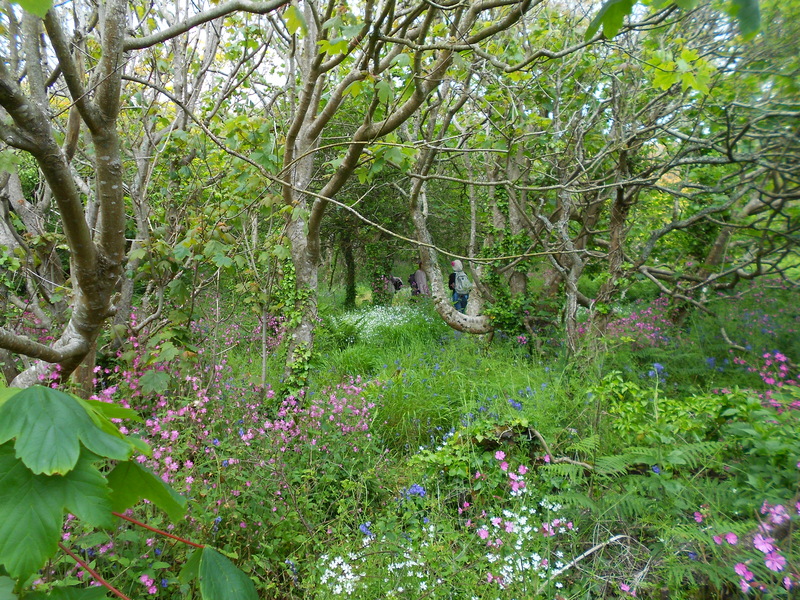 The idea of the retreat was that the artists could work on a new idea or re work an old idea within a small space. By the end of the Thursday there was a huge anticipation in the air as we were going to hold a mini festival of the work in progress. Five to ten minute performances within the campsite. 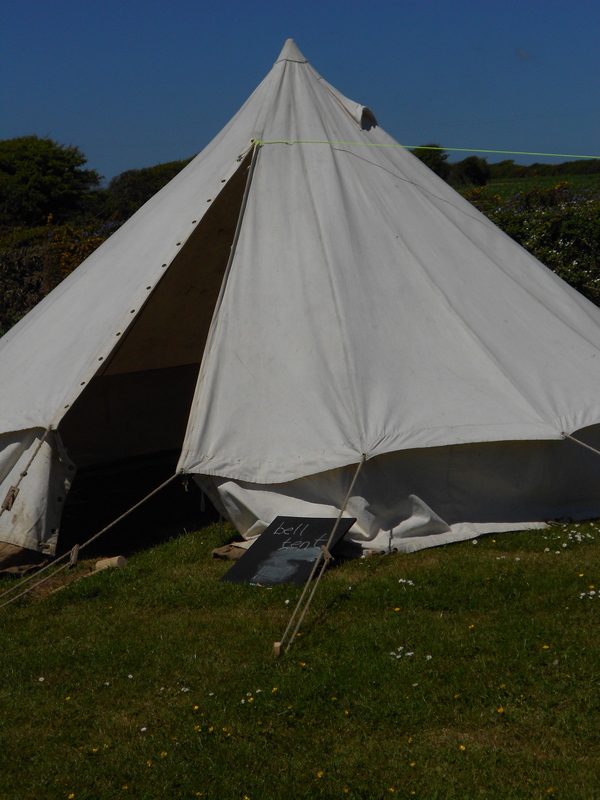 There were four different venues, a bell tent, a caravan, a V.W. camper van and a two roomed camping tent – a pretty cool selection of venues for work that has been specifically produced for small spaces. I performed a ten minute selection from Vera in the Vestry in the tent above. Three performances to an audience of four/five at a time. It was lovely and personal, I used small photos from a travelling photo album to introduce some of my ancestors and told them about my quest to find some possible Jewish roots. As an audience member I watched two jugglers/acrobats in the small tent, throwing the juggling balls off the walls of the tent; I had a bedtime story told to me by a panda, as I lay on the mezzanine of the V.W. camper van, (which was very cosy – hmm can I get a camper van to park alongside the chalet?). And I witnessed two separate performances in the caravan, one story dependent on a pack of cards, where each card has a story attached to it and asking the audience to turn over a series of cards is how the story will be revealed, creating a new story every time. 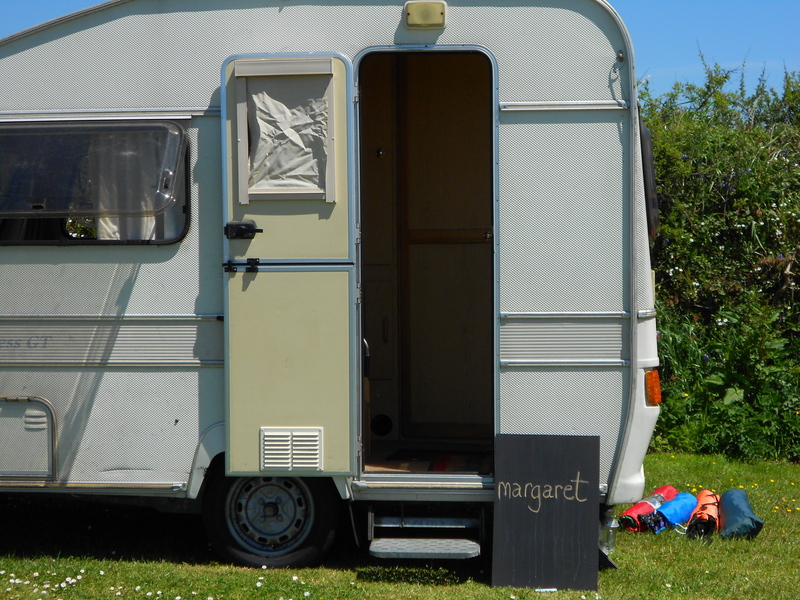 our caravan “Margaret” who was one of our venues. I really enjoyed my week and was constantly amazed at the collaboration and sharing of the other theatre makers. Just talking to each other generated creativity and being able to share our work with each other was a lovely way to finish the weeks retreat. I believe that all people need time out, to re charge batteries and remove themselves from the digital world and, by doing so, it can allow creativity to flow, quite naturally. 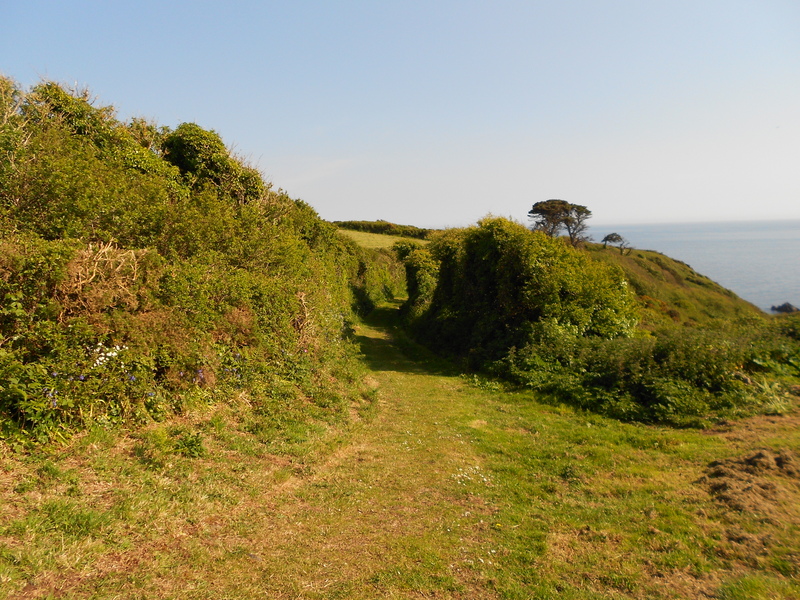 This entry was posted in festivals, holidays, Travel and tagged South West Coast Path. Bookmark the permalink. What a beautiful time of the year. 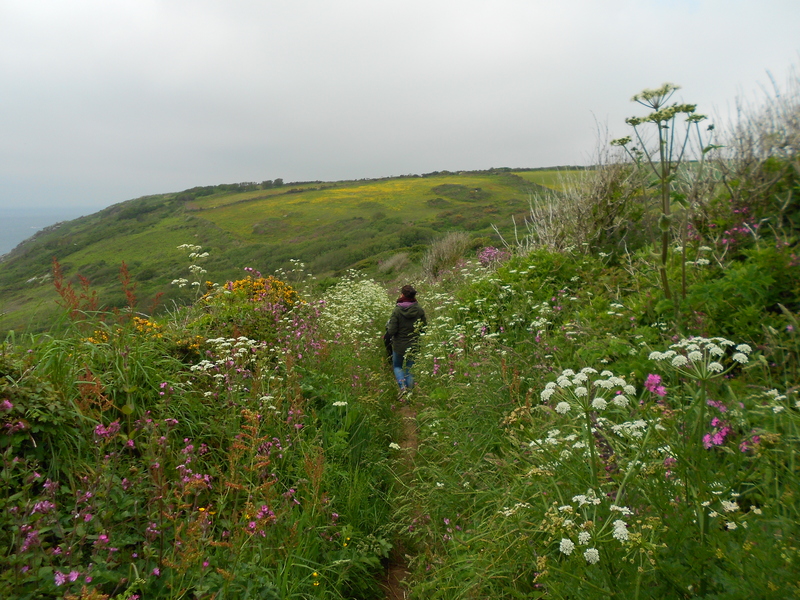 The wildflowers along the coast are absolutely wonderful! 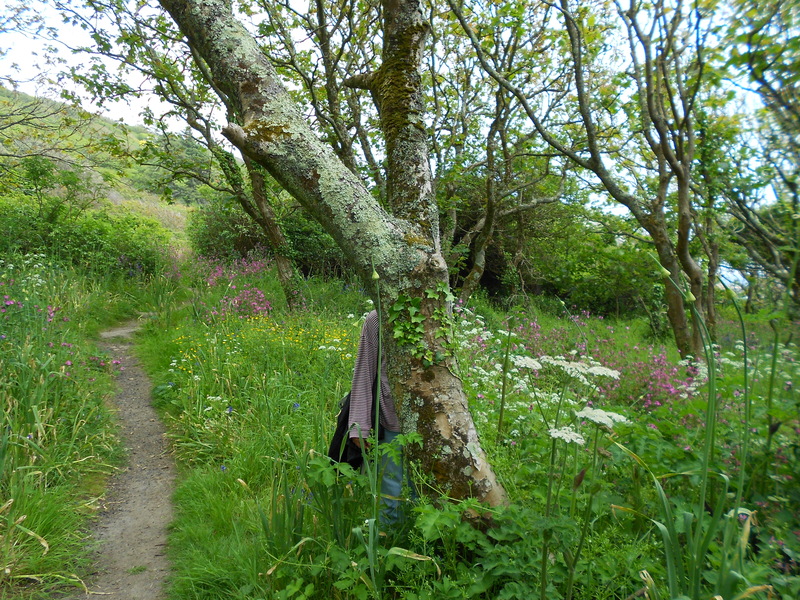 Ohhhhhhhhhhh the walked looked lovely Ruth….one to add to my bucket list I think. Beautiful pics and I spotted Wally ! 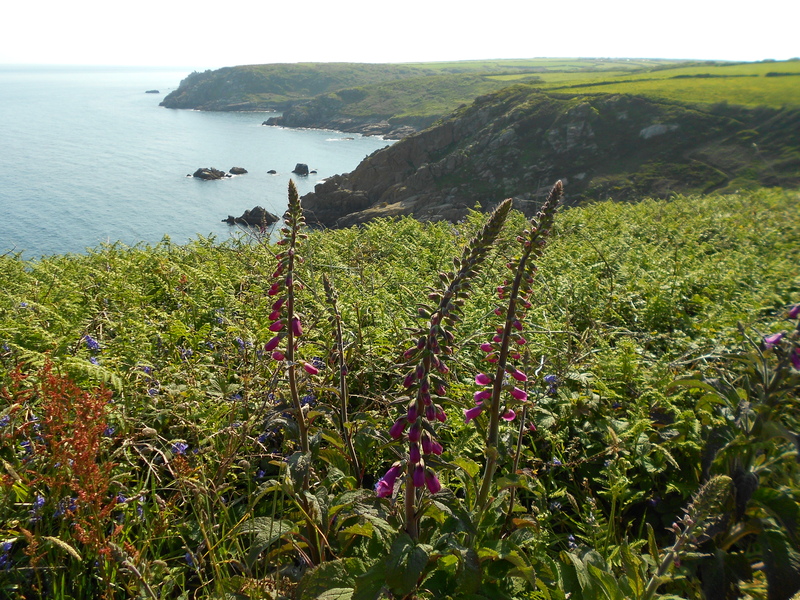 hard to pull ourselves away from our beloved Cornish spots but worth it!